For Ms Au, she was lucky as she chose advanced minimally invasive technologies, which kill cancer cells precisely with few side effects and small trauma and good efficacy. 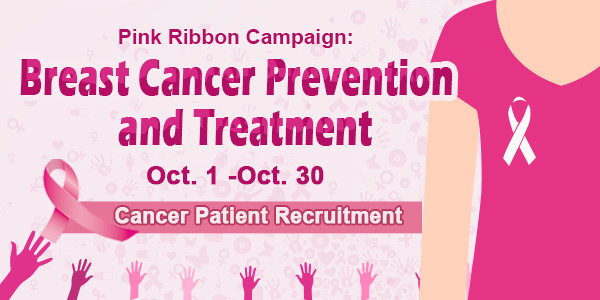 In order to help more cancer patients like Ms Au, a large pink ribbon campaign is specially held by St. Stamford Modern Cancer Hospital Guangzhou in the whole October, aiming at recruiting cancer patients like Ms Au and Boai Fund will provide treatment assistance for them. If you want to apply for the treatment assistance, please fill out the form below, or you can directly call Kuala Lumpur Office at 010 2066616 for details on this activity. The final explanation right of this activity is reserved by St. Stamford Modern Cancer Hospital Guangzhou.